Theremin World’s community of Theremin junkies never ceases to amaze. Mark McKeown has now built his own semi-replica of the classic RCA Theremin, down to the wooden cabinet and 1928-style power supply. You can bet it’ll behave and sound different than the cheap kits available online. 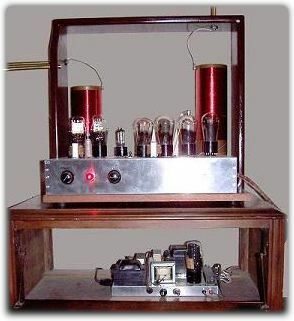 Mark’s secret weapon was the treasure trove of specs and schematics at Art’s Theremin Page, worth a browse even if you don’t try to built your own.